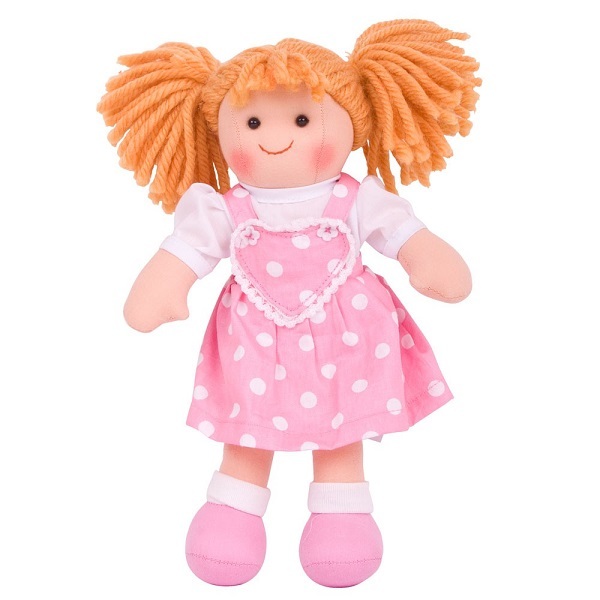 Meet Ruby - this soft and cuddly doll has a big heart. Ruby wears her pink polka dot dress with pride and is always ready for a cuddle or two! With her bunched hair and adorable fringe, she'll quickly become a best friend for life! 1 x Bigjigs Doll (Ruby).